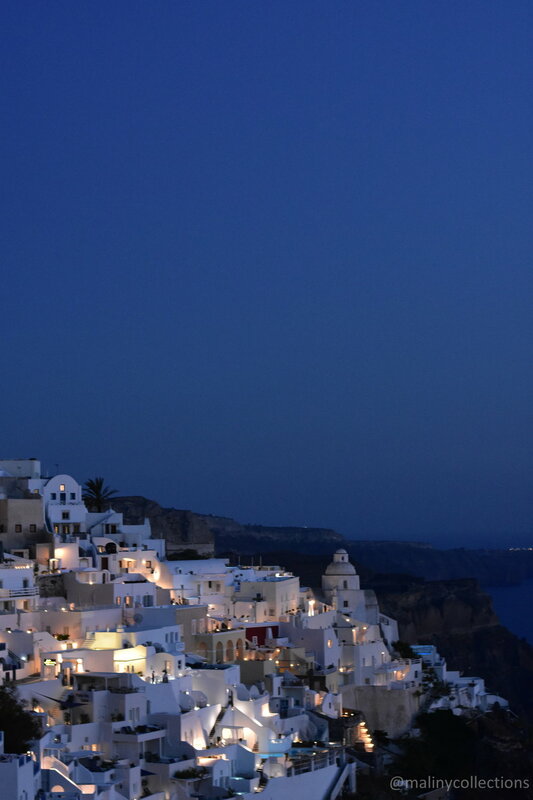 After spending the day touring Fira, we spent some time trying to figure out where to have dinner. There were so many restaurants to choose from and at each restaurant, stood a worker announcing to passersby about their specials for the day. We finally settled on one restaurant that had a nice view of the caldera where we would be able to watch the sunset while having dinner. 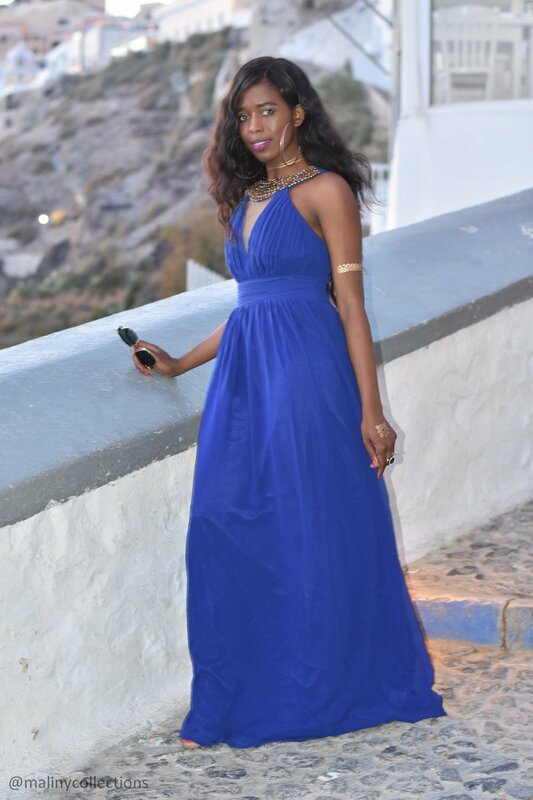 I'm not a big fan of food but I enjoyed the food in Santorini, it was so good. 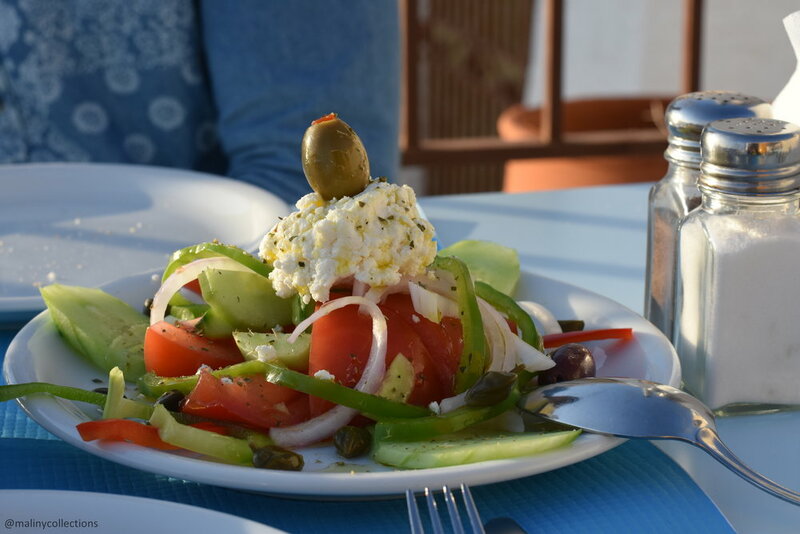 Our dinner for the night consisted of a Greek salad and clams for appetizers followed by calamari and salmon for the main course. It was rather surprising that a lot of restaurants were quite empty by the time we were having dinner. 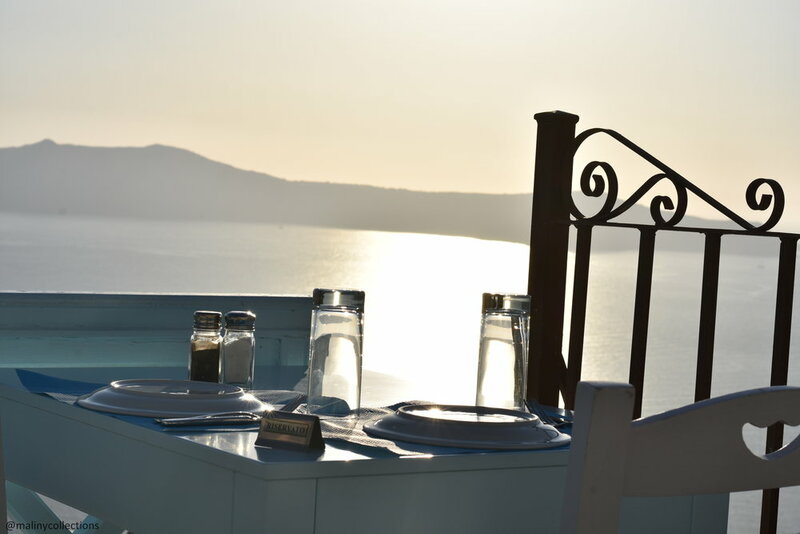 A Greek friend of mine had mentioned to me that Greeks usually have dinner pretty late so that would explain the empty restaurants around 7pm. We had our dinner and watched the sun set so gracefully! Watching the sunset was probably one of the best moments on our trip, besides, that was what initially attracted us to this beautiful island many years ago. It's such a blessing to have the privilege to see a place that you have desired to visit for so long. You just have to soak in every moment and cherish it for a lifetime.
) that I was wearing during the day. 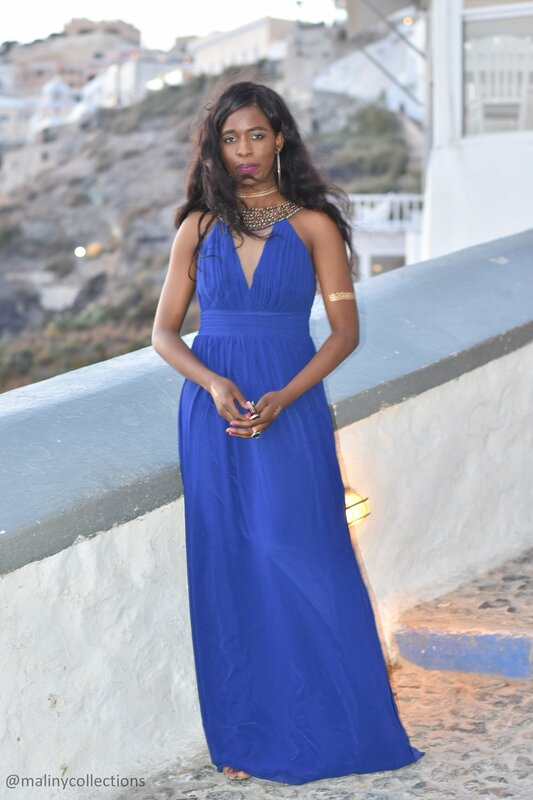 I noticed that they were a lot of older couples in Santorini and they all dressed up for dinner. [wpvideo 21Ho3k3X]As darkness quickly started setting in, all the lights from the whitewashed buildings glimmered like stars. The view was simply magical but it was hard to enjoy the moment with so many tourists stopping by to take pictures. The best time to really enjoy some quiet time is after 10pm when most of the shops are closed and only restaurants and bars are open. 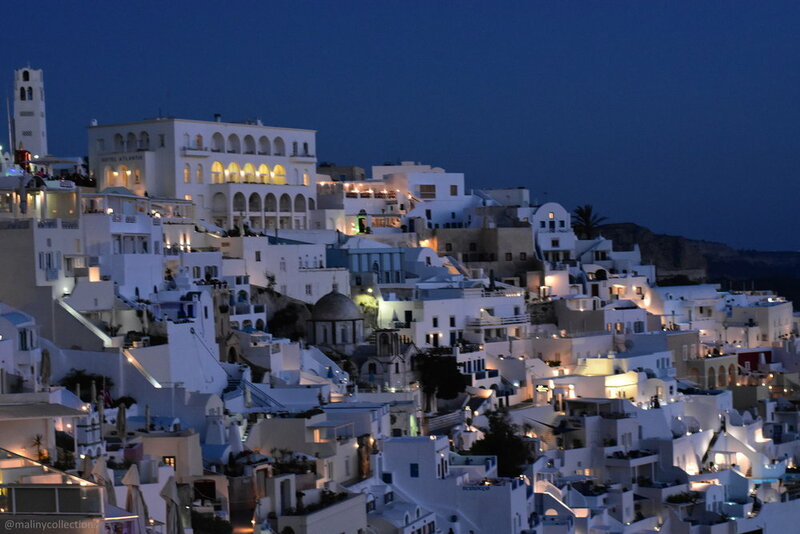 We did not spend a lot of time in Fira during the nighttime as we had been there all day and were quite tired. We left shortly after taking these shots and drove back to our hotel. It was a great day and night to close off the chapter of my 20’s. Stay tuned for my birthday post!